In the end I decided to tell him and was surprised that he still ate the bread. But then he said he could taste the zucchini in it. 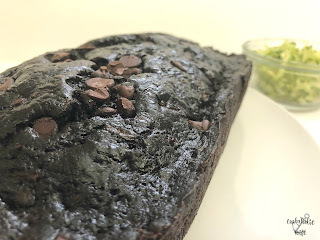 Zucchini is so mild it barely has a flavor to begin with and when combined with so much chocolate, I had a try a piece of my own to see what he was talking about. The conclusion? It’s entirely in his head. 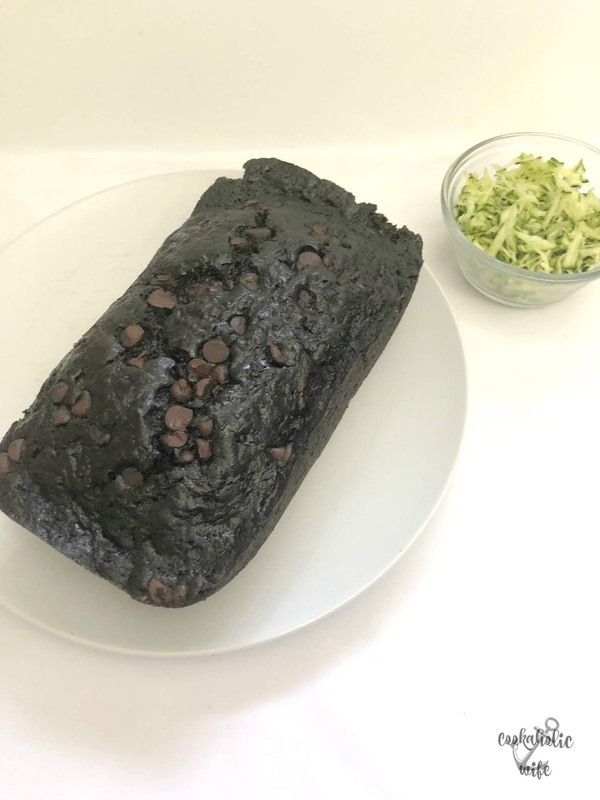 There is no zucchini flavor what-so-ever and if you mix up the ingredients for the bread really well, there aren’t even any visible shreds of zucchini in each slice. National Zucchini Day is on the 8th of this August (um, how is it already August?!) 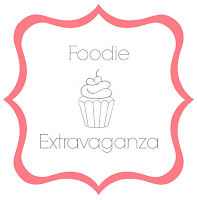 but for the #FoodieExtravaganza, we’re celebrating it today. Zucchini wasn’t a vegetable I had while growing up. I don’t know if my mom doesn’t like it or if she just never thought to buy it because it’s not something she had growing up. While it’s not one of my favorites, I do still buy a lot of zucchini because there is so much that you can do with it. This past Easter I cut it into wedges, coated it with olive oil, Parmesan cheese and lemon zest and baked it up until crispy. It fits so perfectly on a skewer and adds a pop of color to whatever kebabs you may be making. It can be spiralized into super low carb noodles for your pasta dishes. And it shreds up and hides in breads and muffins so well that you’d never even know it was there. 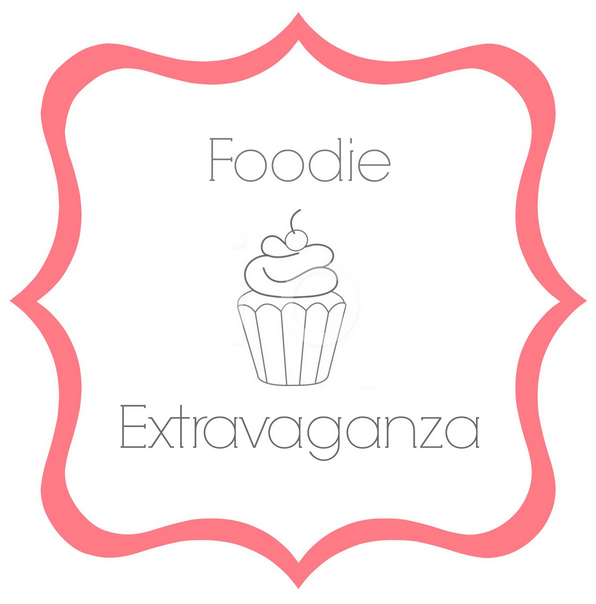 #FoodieExtravaganza is a group of bloggers who post a recipe on the first Wednesday of each month based off a chosen theme. The themes come from the food holidays listed on The Nibble. If you’d like to join us, please visit the Facebook page. If you’re looking for the goodies we make, either check out the Pinterest board or the previous parties. Our host for this month is Sue of Palatable Pastime. Chocolate Zucchini Bread is a rich and dense bread full of chocolate flavor and hidden zucchini. 1. Preheat the oven to 350 degrees. Spray a loaf pan with non-stick cooking spray. 2. Shred the zucchini and place it in a clean kitchen towel or paper towel and squeeze out the excess moisture. Zucchini should still be damp, but not dripping wet. 3. In a small bowl whisk together the eggs, sugar, yogurt and applesauce. 4. In a large bowl, whisk together the flour, cocoa powder, baking powder, baking soda and salt. 5. Pour the wet ingredients into the dry and stir until combined, leaving a few lumps. Use a silicone spatula to fold in the zucchini, making sure that it’s fully blended throughout the batter. Fold in the chocolate chips the same way. 6. Pour into the prepared loaf pan. Sprinkle additional chocolate chips on top (¼ – ½ cup). 7. Bake for 45-50 minutes or until a toothpick inserted in the center comes out clean. 8.Cool for 15-20 minutes or until you are able to handle the pan. Slide the bread out onto a wire rack and continue to cool until it reaches room temperature. 9. Slice and serve. Bread can be kept at room temperature on the counter for a few days. We’ve had a couple of weekends of nothing but rain and there is something about rain that makes me want to bake bread. Sweet breads, savory breads, yeasted breads, it doesn’t matter to me, I just need to be in the kitchen with bread being made. I whipped up this bread and a peach pecan bread the last weekend that was full of nothing but rain. I left a few slices of this at home and took the rest of it to work where it was promptly devoured. 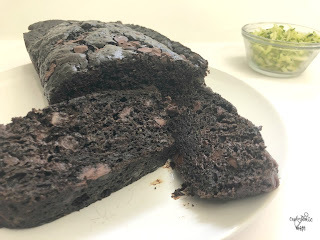 It’s rich and chocolate-y but still light and almost crumbly. Without reading the recipe, you’d have no idea that a bunch of zucchini was hiding in here. Check out what all the other bloggers have made!